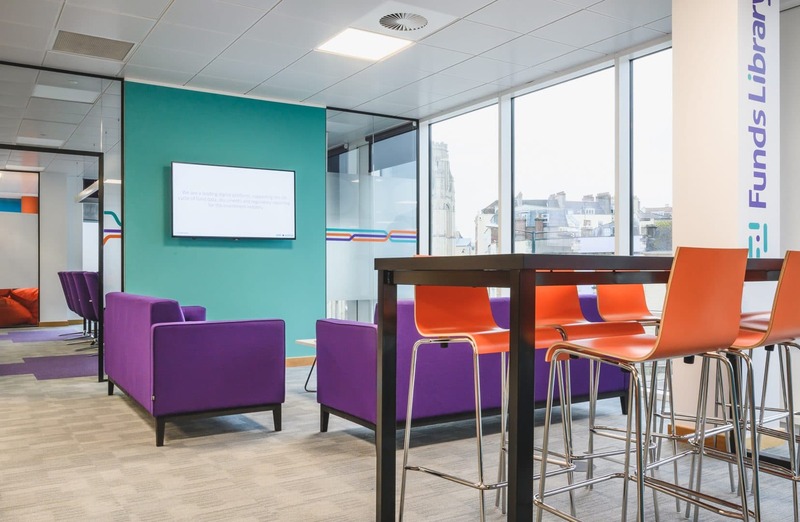 We recently teamed up with FundsLibrary to turn its new Bristol offices into a collaborative space that reflected its vibrant and hard-working ethos and culture. 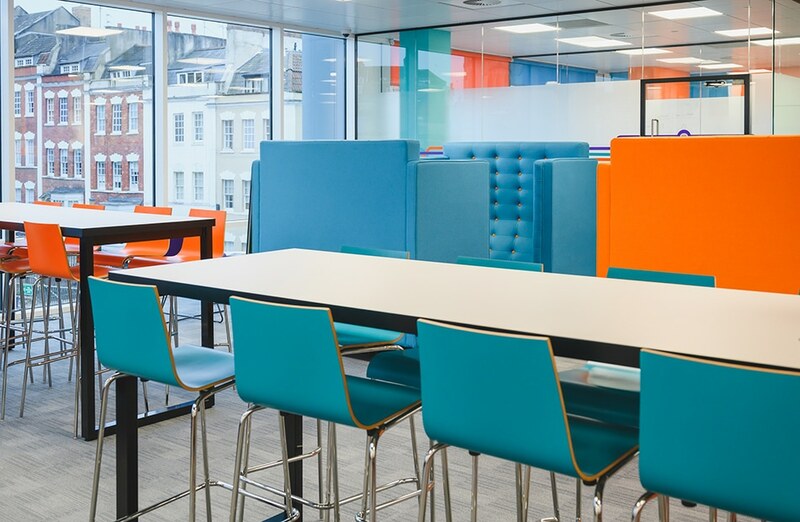 The company – the UK’s leading providers of fund data, regulatory services and software solutions for the investment industry – was keen to have an energetic space that encompassed its vibrant brand colours of bright aqua, turquoise and bright orange. 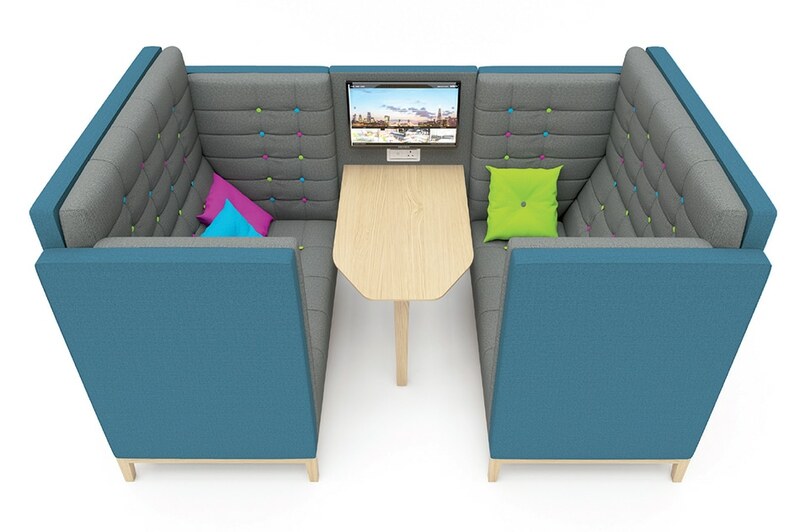 With this in mind, we designed an area where staff could relax and brainstorm on bean bags. 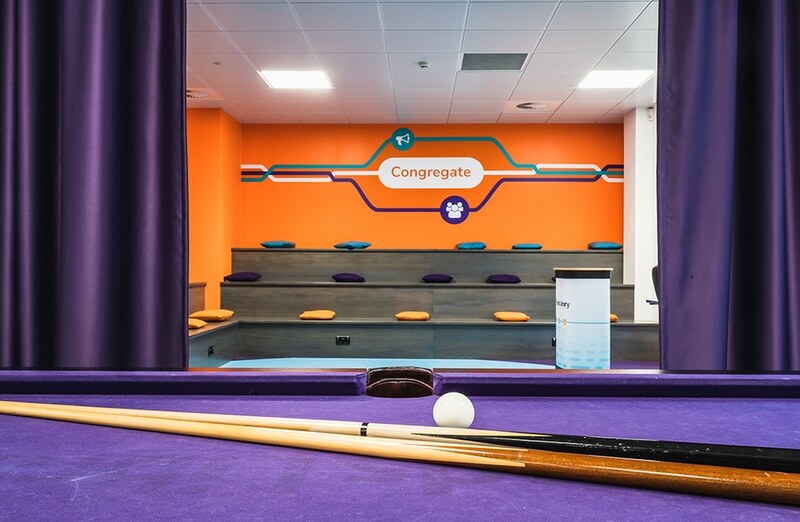 We also installed frameless whiteboards and whiteboard vinyl sheets in each corner meeting room, to further utilise the space and encourage collaboration. 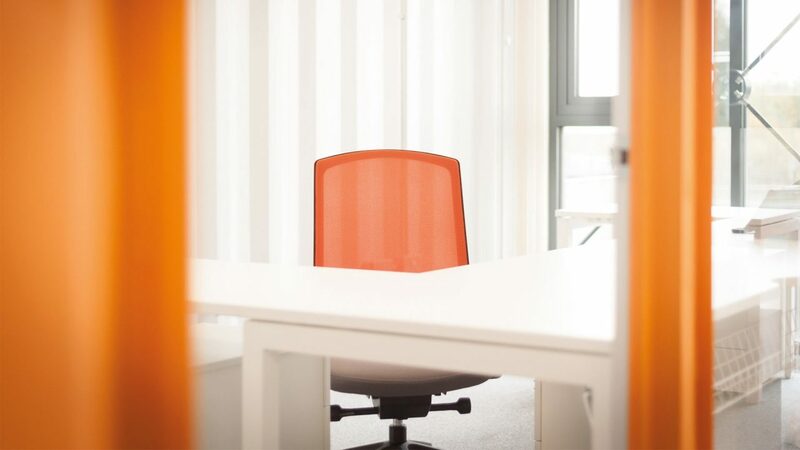 The main boardroom, where important client meetings are regularly held, was also designed to have a less traditional and formal feel through frosted glass partitioning and a hacienda white Senator Ad-Lib table with a woodgrain patterned finish. 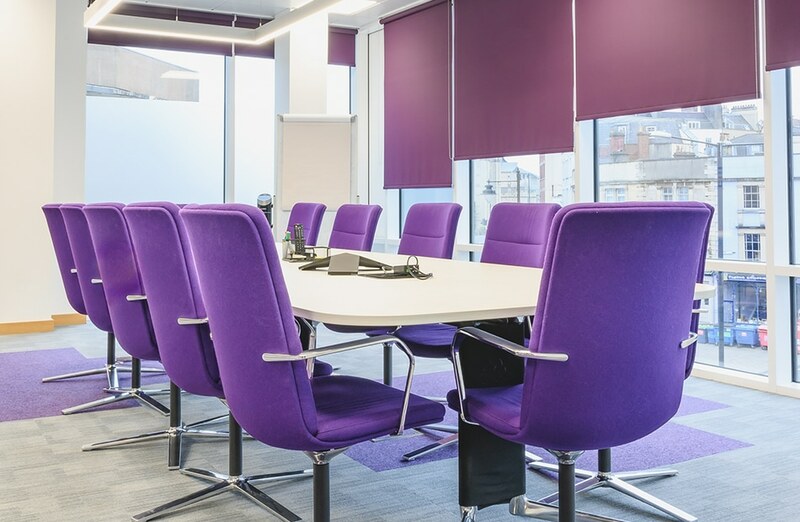 The boardroom’s two walls of glass, which gave it a softer look, were fitted with silicon glazing to create a sound-proof area and the company’s graphics on the frosted partitioning were designed using a special technique, unique to us. 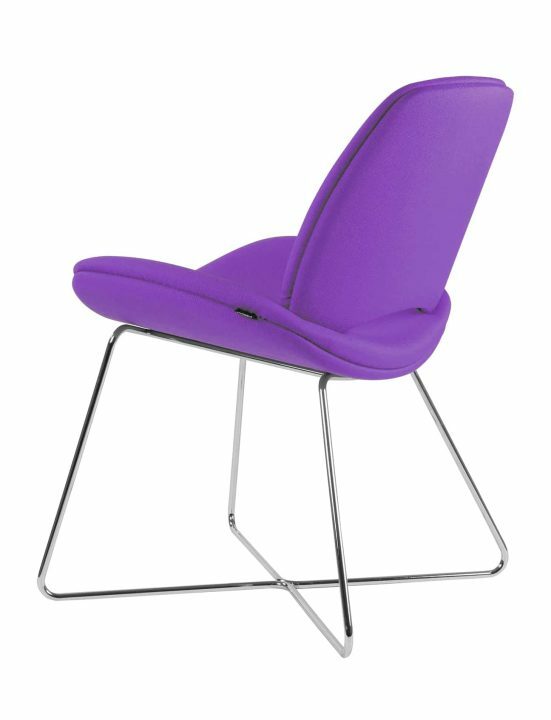 The Orangebox Calder chairs around the table were designed with a wool fabric to create a less dominating atmosphere, which was important to the company. 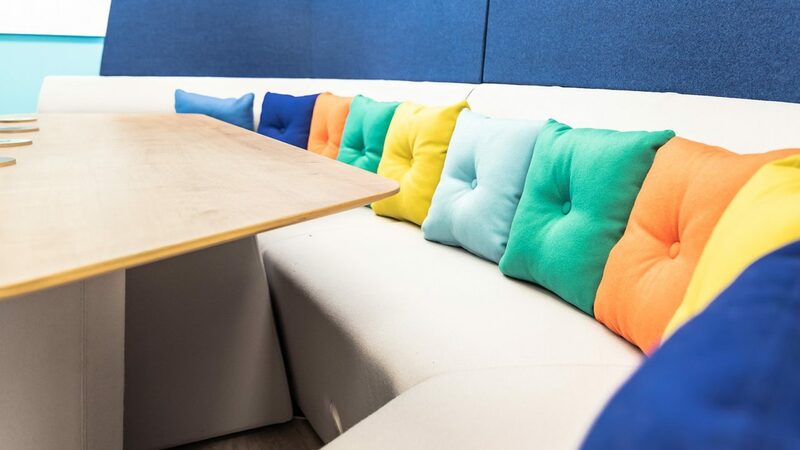 Frovi’s Jig Cave high back sofas and Era Wire chairs were installed in the meet-and-greet area to create a relaxing and social environment and, in the team area, our own Pitch Poseur tables were installed, which can be moved with ease if space is required. The use of space was developed further through printer pods, which contained a printer, waste and extra storage space all in one. 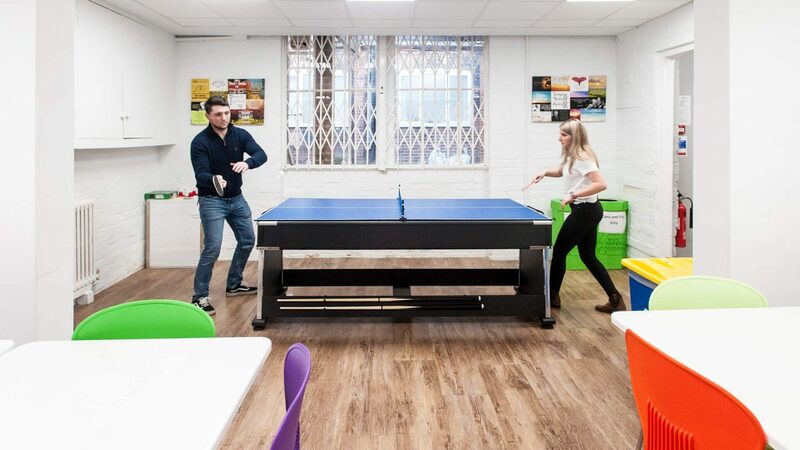 At the top of the building, we installed a new kitchen and breakout area with mix and match Zero 2-Toned chairs and stools from Frovi, plus grey Allura LVT wood finish flooring to match the other woods. 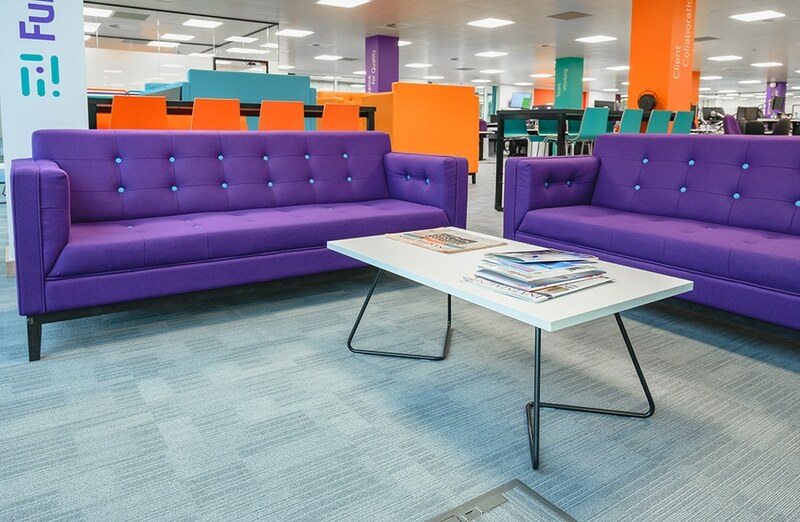 To round off the design, coloured carpet tiles from Interface and blinds in the company’s branding colours were installed to truly reflect FundLibrary’s personality. 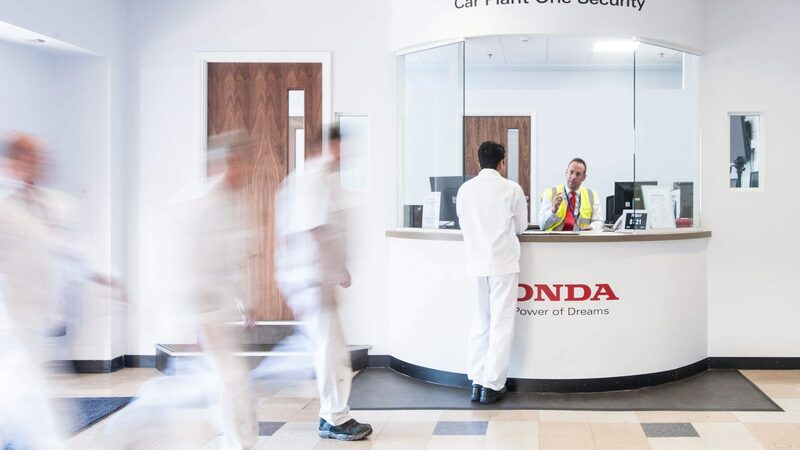 Overall, this was an exciting project to work on as we came on board early on and had a completely empty space to work with.